Ernest Hemingway once commented that American literature did not really begin until Twain’s Huckleberry Finn. Anyone who has suffered through Cooper and the wearisome Hawthorne in an American Literature class knows that making it to Twain means finding cool water in a desert. As you can see, I don’t like early American literature, but in truth those authors had little chance of success. Coming to a new place with a new population meant developing a new language and a new sensibility. Without a defined context, and without feeling comfortable in the language, awkward first steps cannot be avoided in such situations. 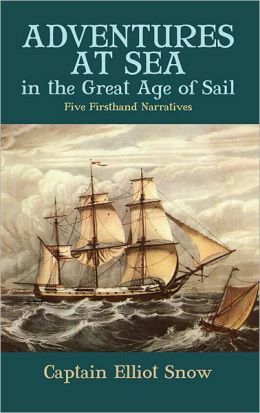 The brig Nanina, of one hundred and thirty two tons burthen, Charles H. Barnard, master, sailed from New York the 6th of April, 1812 on a sailing voyage to the Falkland Islands. She was owned by John B. Murray & Son of New York and was completely fitted and also carried the frame of a shallop of twenty tons intended for use among the islands. Barnard means well, and writes with all the earnestness of the young American republic. Alas, the heavy, clumsy style betrays a man without a fully formed country and heritage. This lack of style makes his incredible story somehow boring. Having reached the age of 67 years, when I can no longer sail upon discovery, and weak and stiff, can only send my prayers with the tight ship and her merry hearts, at the earnest solicitation of friends I have here set down an account of my life at sea. Twice I circumnavigated the globe; three times I was in China; twice in Egypt; and more than once sailed along the whole land-board of America, from Nootka Sound to Cape Horn and twice I doubled it. I don’t blame Barnard. We often don’t realize how long it takes not just for a culture to form, but for a people to feel comfortable enough within it to develop their own literary style. Back in college I had a conversation with a friend who had recently graduated. He was a solid guy, and a good bass player. He seemed the perfect catch for some young Christian woman. When I asked about his dating life he opened up a bit and told me that he had made some mistakes in years past, and now felt he should not date anyone. He needed to get proper distance from his past to feel ready to have a genuine relationship. A few years later, he ended up happily married. Many other Christians have similar stories. For me it was music. After becoming a Christian early in college I felt that I had to purge myself of some of the music I owned, especially of the band I devoted myself to in high school. I know now that this process is not unusual for new Christians, though it seemed so at the time. I never really understood this process and resented it in many ways. I had no joy in throwing away those cd’s. But this summer I found myself involved in a conversation with Andrew Kern who pointed out that I purged myself of certain things in pursuit of proper dominion. The music might have been perfectly legitimate, but in my non-Christian past I did not integrate the music into its proper place, and in this sense the music gained a kind of power over me. I needed to hit the reset button, and cast my bread upon the waters so I might receive it back again, all towards the end of proper enjoyment. Though I had no real idea why I did what I did, good came from it. In this sense a Christian might very well listen to AC/DC and appreciate the guitar, drums, etc. without in the least feeling the need to run off and live the lifestyle described in the songs. Such people have dominion over AC/DC. The music has no control over them. Rather, they use it for their own good purposes. The old folk, who never made it to town, they were scared, while Yefrem rode horses and fired pistols at 13 . . . . But now . . . he remembered how the old folk used to die back home on the Kama-Russians, Tartars, Votyaks, or whatever they were. They didn’t puff themselves up or fight against it and brag that they weren’t going to die–they took death calmly [author’s italics]. They didn’t stall squaring things away, they prepared themselves quietly and in good time. . . . And they departed easily, as if they were moving into a new house. I have never liked the phrase, “Death gives meaning to life.” It is an absurd sentiment. Had Adam not fallen his life still would have had meaning, just as Enoch’s and Elijah’s life had meaning. That attitude also gives Death a kind of power, for now we must struggle to find “meaning” in life, and without an eternal perspective this will be very difficult to do. The medieval approach strikes me as far superior. Aries shows that this sense of dominion man had over death disappeared over time. 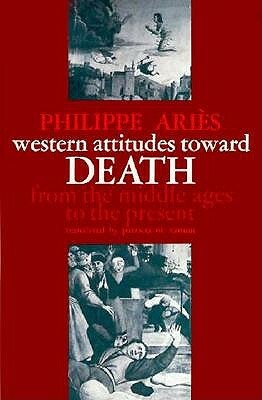 The shift began in the latter Middle Ages/Renaissance/Reformation (Aries blends them together) when death came with a sense of final reckoning, a summation of life itself. This may have had a salutary effect of bracing mankind for final judgment, but in the end it added a great deal of weight, burden, and expectation to death. We no longer “presided” over death, rather, death came with a long list of duties and expectations. Western man began to lose dominion. As the Enlightenment dawned and science and “understanding” gained preeminence, health concerns began to separate people from death, both in terms of being with the dying or being around dead bodies, especially the presence of cemeteries and churches. A secularization of last will and testaments followed. Without the attendance of family and friends at death, documents disclosed the intentions of the dying instead of the actual dying person. The Enlightenment in turn called forth a counter-reaction in Romanticism, where death got elevated to “sublime” status. At first glance the Romantics appeared to bring death back into the human fold by doing so, but Aries points out that Romantics did not counter the Enlightenment as much as they supposed. By making death a profound “experience” they put man on foreign footing in his relation to death. Under the Romantics the burden of death continued to increase, as did its power over us. The modern age continued this trajectory, which culminated in a cult of the dead in the aftermath of World War I. Yes, honoring the past and those gone has its place. But Aries argues that Europe continued the dominion of death by excessive and repetitive attempts to memorialize the war-dead. This had the same effect as before–the dead, and death itself, had power over the living. Through all this I felt that Aries perhaps gave a tad too much credence to the early medieval view. Death is a curse, and in that sense not a natural part of life at all. Thus, there should be something foreign and mysterious to it. But Aries never talks about how the medievals arrived at their view, the book’s one weakness. Perhaps we can assume that in recognizing this from Scripture and church tradition, they gained dominion precisely by naming death correctly, just as Adam gained dominion (however briefly) by naming the animals. When we attempt to define civilization we might be tempted to think of things like refinement and gentility, but this is not quite right. As Kenneth Clark stated, “such things may be the agreeable results of civilization, but they are not what makes a civilization.” In fact, believing that “refinement” will heighten your civilization may lead to barbarism. 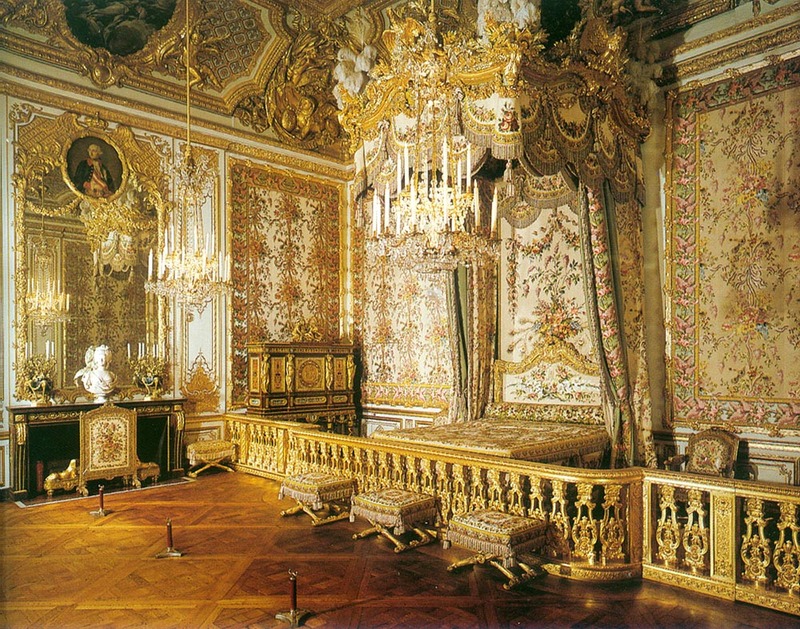 In the modern age perhaps the ultimate example of refinement goes to Louis XIV Versailles. I can think of no other place dedicated to symmetry, luxury, and delicacy. Yet at root Versailles existed due to heavy taxation and in some ways, exploitation. With its maze of manners and ridiculous customs, one could argue that Versailles exploited even those who lived there and “enjoyed” its opulence. I can’t imagine any sane person wanting to go back in time to take part in the massive charade. 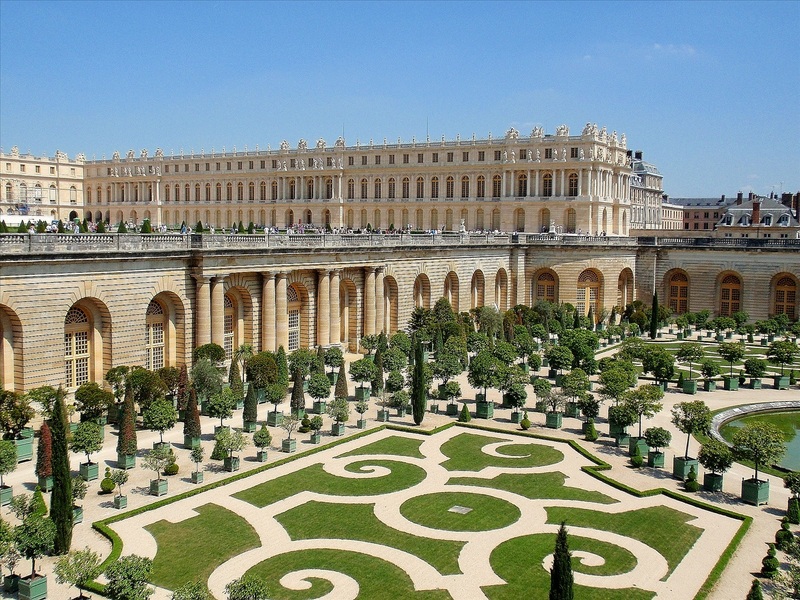 To me Versailles has little real beauty, and suffers from an excess of refinement. I think the links between Versailles and the terror and barbarism of the French Revolution can be overstated, but surely, some connection exists. With the straight ruler I set to work to inscribe a square within a circle; in this center will be the marketplace, into which all straight streets will lead, converging into the center like a star, which . . . sends forth its rays in a straight line on all sides. It sounds heroic, clean, and noble, but then we remember that Aristophanes wrote comedies, and Meton is a figure of fun, a puffed-up fool. The story of Athens is the story of Narcissus. Their democracy under Pericles (ca. 450 B.C.) had its roots in the reforms of Solon (590-570 B.C.). Certain privileges still resided in the upper classes after Solon’s time in power, but clearly Solon broadened the political class and narrowed the social gap between rich and poor. Among his reforms. . . Prohibition against a debtor’s person used as security for a loan. The lock-step nature of Athenian society under Draco received a welcome outside stimulus. Athenians started trusting one another, and their economy grew. Plutarch writes that, “In Solon’s time, no trade was despised.” The exalted Agora in fact served as a market and a general festival area. Different people mixed together from different trades and classes. If we go forward in time another 100+ years, we come to this bust of the Athenian statesmen Pericles. 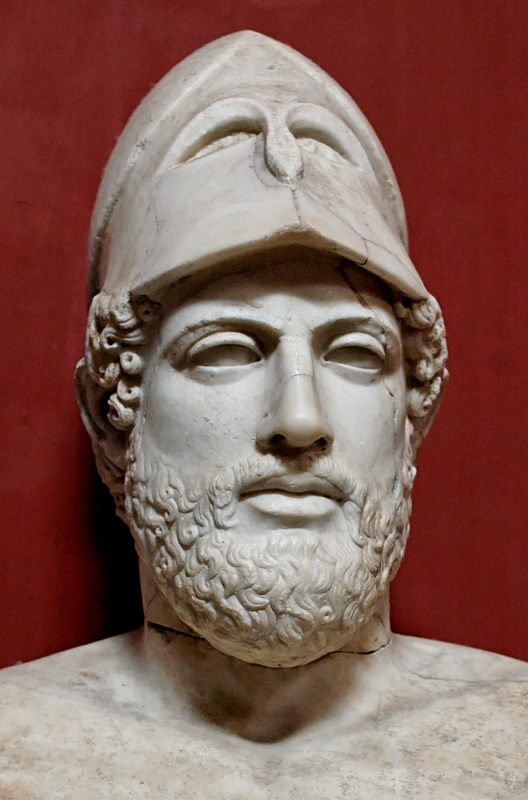 Pericles had many successes and we can admire much of his statesmanship, but his face betrays him. We do not see what we see in Solon. With Pericles we have the smugness, arrogance, and touch of detachment for which the Athenians became notorious by 431 B.C. If Pericles gets his share of credit for the brilliant culture of 5th century Athens, he shares in the blame of how far they had slipped since Solon’s time. For example, under Pericles one could not marry foreigners, and foreigners in general had no hope of participating in Athenian political life. Like Meton, the Athenians came to crave elegant simplicity and clarity. They obsessed over the ideal. The brilliant pythagoreans, who believed that all of life could be reduced to simple ratio, actually killed a member of their school who divulged the existence of irrational numbers. They murdered to stay detached from reality. Nothing should be allowed to end their beautiful dream. This attitude bore bad fruit in more general ways. Athenians still benefitted greatly from foreign trade. In fact they depended on it, and Pericles’ initial strategy for the Peloponnesian war put absolute reliance on the availability of foreign goods. But the tradesman and the merchant now had no social standing, whatever their political rights might have been. The aristocratic ideal of refinement and detachment had taken firm root among the Athenian elite. 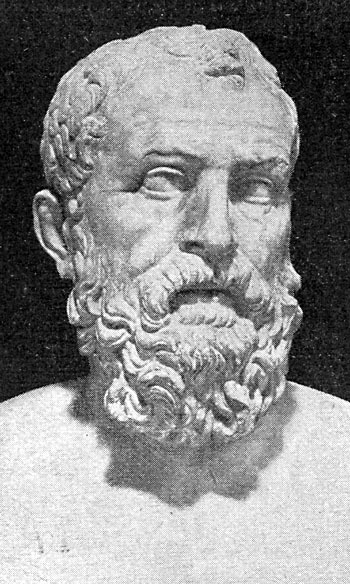 If we take Aristophanes as a reliable source, in Pericles’ day the upper-classes avoided the Agora and hung out by the gymnasium with their own more leisured companions. Athens’ contempt for the artisan and merchant destroyed them. Trade depends on good relationships and good faith, the same qualities needed to hold together their empire. If Athens neglected their tradesman they would soon neglect their empire, and treat them as second class citizens. As Lewis Mumford notes in his excellent The City in History, they did just that. Their platonic sense of detachment led to Athens exploiting its tributary states, once allies. This detachment and exploitation reached its peak in the Parthenon (funded by money taken under false pretense from their allies) which doubles as an insanely impressive technical achievement and a hymn to self-worship unequaled except by the pyramids and Nebuchadnezzar’s statue. A “schism in the soul” of Athens had arrived, an imbalance that gave the life of the leisured mind precedence over the life of the laborer. Whereas before Solon gave economic incentive towards developing a trade, now tradesmen sat on the outside looking in. Plato later took the aristocratic idea to its fullest extent and enshrined philosophers as kings, strictly dividing the people based on their innate functionality. None could accuse Plato of loving democracy, but ironically, he is in many ways Pericles’ heir. When looking at the Civil War modern history textbooks do a great deal of damage by glossing over the virtues of the South. Many in the North had no love for blacks, and the industrial system exploited people in ways not terribly different than slavery. Some southerners treated their slaves well (relatively speaking), some in the south spoke against slavery, etc., etc. The ante-bellum South was no monolith. Free society! We sicken at the name. What is it but a conglomeration of greasy mechanics, filthy operatives, and moon struck theorists? They are hardly fit for association with any Southern gentlemen’s body servant. Those “hardly fit” would soon bring judgment upon Southern society, much as all the merchants, farmers, and craftsmen scattered across the Aegean dealt a mortal blow to Athens by the end of the Peloponnesian War in 404 B.C. Every good teacher will seek different ways to communicate effectively, and over the years much has been written about how teachers can adapt to the different learning styles of the students. Much of this information should be used as best we can but in the end, I think too much is made of it. After all, it is impossible for teachers to adjust individually to each of his/her students, and much easier for students to adjust to the teacher. So much of how one teaches comes from who one is as a person. Teachers must be “on display” for much of the day, and so perhaps more than most professions, the strengths and weaknesses of teachers as people reveal themselves in the classroom. Since this cannot be avoided, it might as well be embraced. We have to play to our strengths and let the chips fall. This is inevitable and in one sense, appropriate. We are finite, limited, and are most effective when in a community of other teachers with different strengths. This way, in the end, it all balances out. Teachers can be blamed for a variety of things, but not our certain failure to be all things to all students. One of my favorite sections of Toynbee’s A Study of History comes in volume four when he examines the subtle idolatries that infect civilizations — idolatries of the past, of institutions, or techniques. Toynbee applies this latter lens to the Roman army from its disaster at Cannae in 216 B.C. to its decimation at Adrianople in 378 A.D.
After Cannae Scipio helped bring about several reforms in the Roman infantry, making it more flexible and mobile. But it was Hannibal’s cavalry that had really done Rome in at Cannae, and Rome’s reforms in this area were not nearly as significant. Fast forward 150 years and Crassus leads his army into Parthia. Once again, the Romans lose decisively, and once again, the cause is the Parthians heavy cavalry deployed in a wide open area. 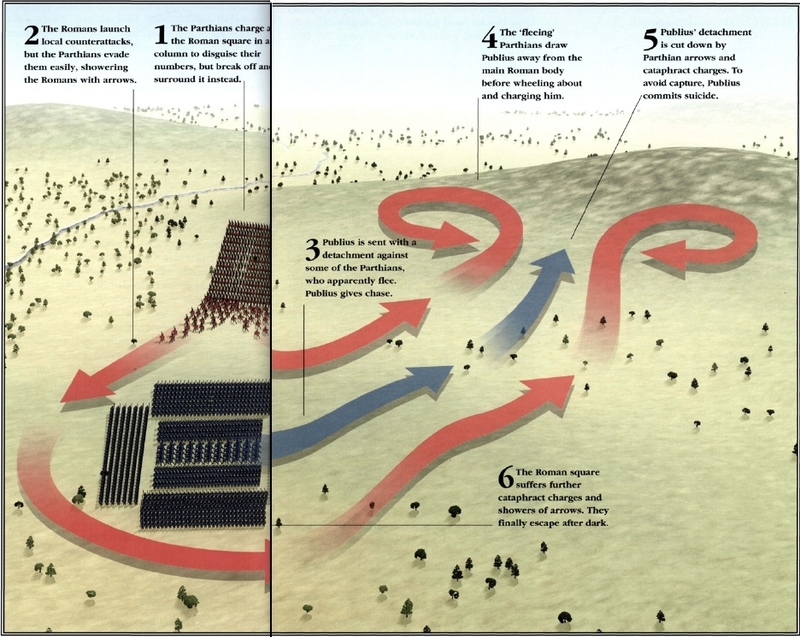 Historian William Tarn commented that, “Carrhae ought to have revolutionized the world’s warfare,” but Rome ignored the evidence, or perhaps has no possibility of changing anything at the time. The Republic was collapsing all around them, and Caesar fought illegally in Gaul more or less simultaneously. In any case, Surena, the victor at Carrhae, was executed shortly after the battle and his magnificent cavalry broken up. By 378 A.D. the empire totters on the verge of collapse, and the Goths deal a decisive defeat to Rome at Adrianople, with cavalry again the mainspring of this final disaster. Toynbee argues that Rome idolized its infantry technique to the point where they never could adapt their cavalry, and this failure, among many others, helped end their empire. One of Toynbee’s great strength is his search for spiritual roots to what seem like physical problems. Rarely do I disagree with how he applies this methodology, but I think I may in this instance. The adaptations made by Scipio allowed Rome to conquer much of the Mediterranean within two generations, so their attachment to the technique/institution seems understandable, and if they “idolized” it that might be expected. This picture could fit Toynbee’s theory, but perhaps they didn’t “idolize” the technique, perhaps they simply had a finite army, just like every other civilization. Rome could never be all things to all men, and neither could their army. Even during their declining “Empire” phase Rome continued to adapt their military, using auxiliaries from different provinces to fight alongside the standard infantry. So we cannot say that Rome had frozen itself in time from Scipio onwards. Their cavalry improved enough to help defeat Hannibal at Zama, and Caesar’s cavalry helped him defeat the Gauls — no small achievement. Maybe we can say that Rome was a great teacher, and could reach many different students, but would always have a problem with students of certain type. To be limited is not the same as being idolatrous. To ask them to act differently is to ask them not to be Rome. And, we have to admit, Rome had a very successful military for whatever shortcomings they possessed. The issue Toynbee raises, however, still has value. Why did Rome improve in many ways at many levels, yet never develop an ‘A’ level cavalry? I don’t know, but I would guess that. . . But the geographic argument can be overstated, because medieval Europe was a “cavalry” culture, and European geography has little in common with Eurasian steppes or desert flatlands. The roots of the knight-errant lie in the social-political structure of feudal Europe. So. . . .
Rome inherited the Mediterranean city-state legacy, with its emphasis on a land owning infantry that fought and armed themselves to defend the city. Rome’s military was certainly an offensive machine, but they always fought best when they could, a la Henry V at Agincourt, advance to provoke an attack, then fight defensively. Cavalry strikes me as a distinctivly offensive weapon. Even when the patricians governed Rome, they always thought of themselves as a nation of simple farmers (Toynbee could charge Rome justly with another one of his idolatries, the “idolization of the ephemeral self”). Romans, like farmers, were practical at heart, and probably had little time for the horse, a “useless” animal on the farm. Without a real love for horses, one could never develop a great cavalry. I would curious for any other thoughts on this question.